LG’s first smartphone part of the Android One program was announced earlier this year, and at IFA in Berlin we had the opportunity to take a look at it. 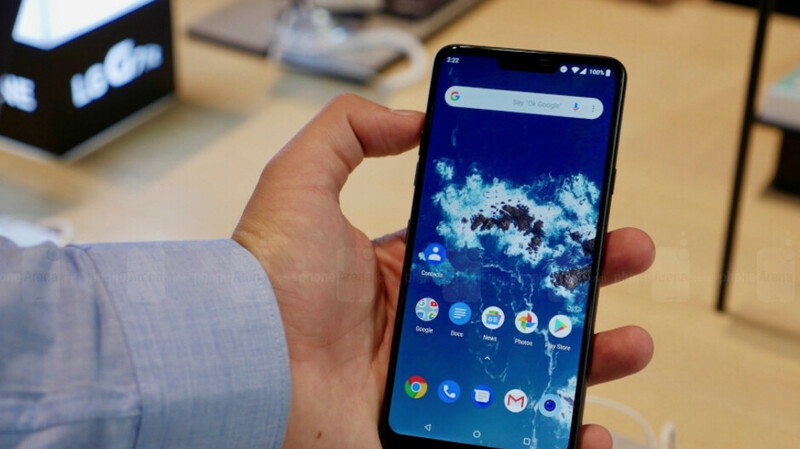 Now, information coming from Canada suggest the phone will be available for customers very soon, but the expected price might leave potential buyers unpleasantly surprised. The details about the new release were found in documents obtained by MobilieSyrup from the Canadian carrier Fido. While the information contained in them is meant for Canada, we can safely assume that US carriers' offers won’t be much different. According to the sources, the carrier is planning to release the LG G7 One on October 19. As usual, the carrier will offer the phone with various monthly plans. With the most expensive one the device will cost around $230 (299 CAD), but don’t get too excited, because if you already have a plan just want the device, Fido will sell it to you for $618 (799 CAD). These prices will likely vary from carrier to carrier, but the documents also contained the price that LG is planning to put on the phone itself: $600 (775 CAD). To remind you what you’ll be getting for your $600 (or somewhere around that), the G7 One is a stripped-down version of LG’s flagship phone: the LG G7 ThinQ. The G7 One has last year’s Snapdragon 835 SoC, 32 GB of storage and a single main camera. However, you still get the Quad HD, HDR supporting display of the G7 ThinQ, its improved audio capabilities and some other features typical for flagship phones. What makes this phone stand out from the rest of LG’s smartphone lineup is that the G7 One is coming with stock Android, in other words, no added software beyond what Google includes in its mobile OS. This means better, snappier performance and ensures faster updates. Considering that an unlocked Samsung Galaxy S9 (for example) can be found on Amazon for $620 right now, you must put a lot of value on the stock Android experience to go for this device. Android purists were hoping that with LG’s recent track record, it will price this phone more aggressively, but it seems that won’t be the case. We still have to wait for the official release and some more time with the device, before the final verdict is out. If it had 64GB I'd consider it. Storage is the only issue I'm having with my S7, so I don't care about being "last year's" processor.